How has the advent of green chemistry affected the chemical industry and its role in the public sphere? Over the past several decades, green chemistry has played a crucial role in turning the focus of large chemical companies toward the environmental impact of their products. There are many reasons for this transformation, some of which include government regulations, changing public opinion, and, of course, the desire to preserve and protect the environment. Industrial chemists, government agencies, and the general public alike are now constantly considering the effects of chemicals on the environment, which will hopefully serve to prevent recurrences of chemical-related tragedies like those involving DDT. 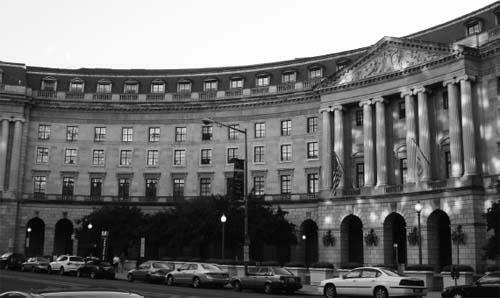 The Environmental Protection Agency library is located in Washington, D.C. One of the roles of the EPA is to educate the public about green industry.